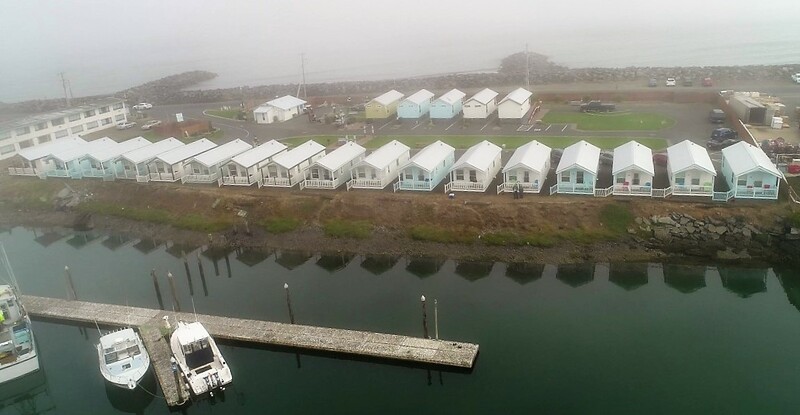 Grays Harbor Beaches Blog keeps you up to date with what's happening at the local beaches of Westport, Ocean Shores, Seabrook and other small towns along the Washington Coast. 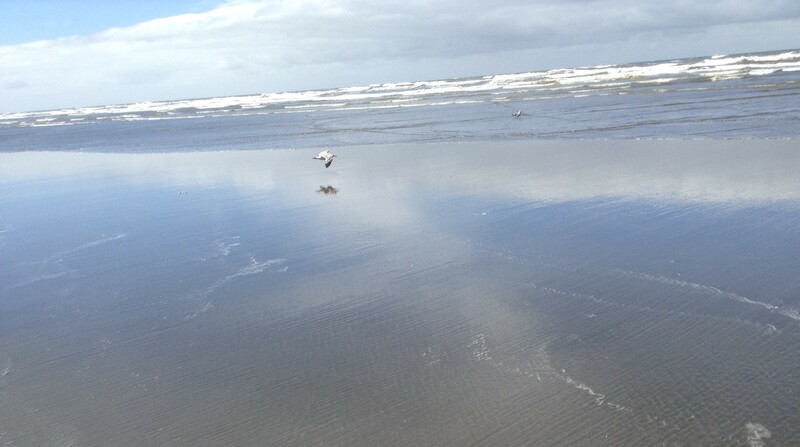 Reflection of seagull over the beach surf of the Pacific Ocean in Ocean Shores WA, USA. Ever hope that you would find an authentic Japanese Glass Float? 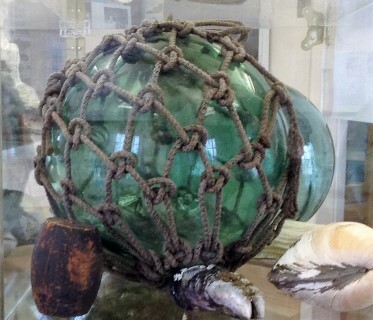 Between the first of April and the 7th of April the Westport Maritime Museum is releasing glass floats of all sizes into the ocean around Grayland. If you are lucky enough you may find one or more while at the Grayland Beach area. You are welcome to keep them. The glass floats help kick off the 57th Beachcombers Driftwood Show and Glass Float Hunt. There will also be exhibits, competitions and prizes. The show is open from 10 am to 5 pm on Saturday and from 10 am-4 pm on Sunday. Make it a long weekend and plan on going clam digging, there are tides in the morning on both Saturday, Sunday and Monday. April 21 Seabrook Easter Egg Hunt Crescent Park 10 am. Bring the family out for Seabrook's 10th Annual Easter Egg Hunt on Sunday April 1st. Meet the Easter Bunny and have your picture taken with him. Enjoy tasty treats and start your day off with some fun. All children 13 and under are welcome. April 27 Seabrook Seabrook's Spring Showcase of Homes 11am Tour various homes around Seabrook, including their Signature homes in Elk Creek. There are many homes for sale throughout the town including signature homes and the gorgeous model home in the Farm District. Looks like March may not come in like a lion. It may be cold but suppose to be somewhat nice. So kick off March by heading to the beach. 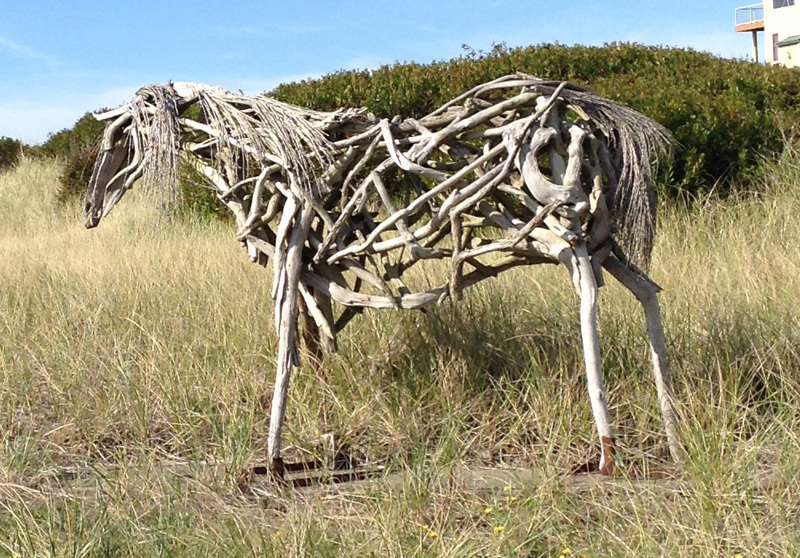 Ocean Shores, Seabrook and Westport all have things happening this month. Ocean Shores is hosting the UFO Paranormal Summit at Quinault Beach Resort and Casino on March 1-3rd and the Beach Combers Fun Fair is March 2-3. Ocean Shores is also hosting the Razor Clam Festival and Seafood Extravaganza at the Convention Center on March 16 and 17. 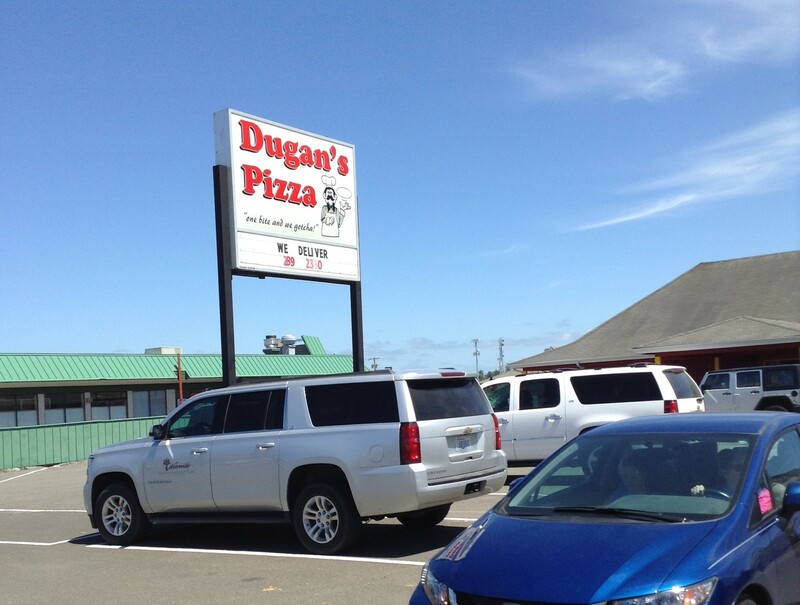 There’s also proposed Clam tides that weekend to coincide with the clam festival and on March 24th is Dugan’s Run. Seabrook offers many events during the month. They have a Karaoke Night, a Celebration of Spirits, Trailblazing with Buck Giles, A St. Fatty’s Day Fat Tire Bike Race, the Shenanigans Fest and Parade, a Boots N’ Brellas Festival and a Spring Yoga Retreat. 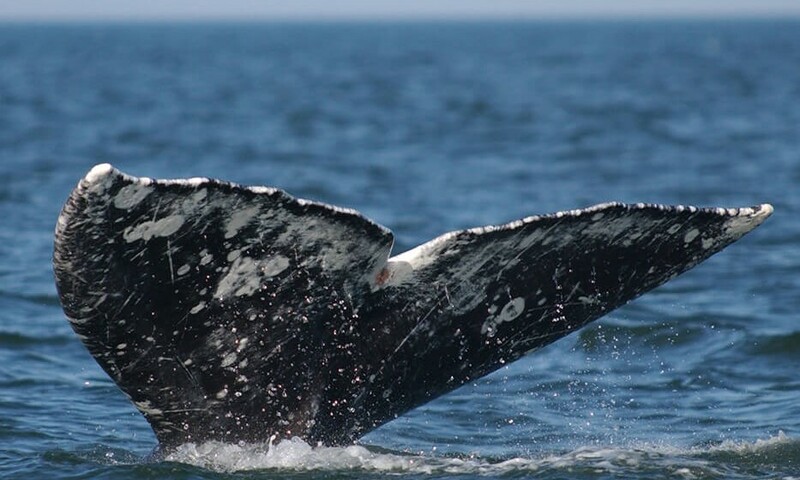 Westport starts the month off with Grey Whale watching which runs from the first of March through the end of May. They also kick off the Annual Westport Charter boat Association Fishing Derby on March 15th and it runs until September 30th. There are tentative clam tides during the month as well. Also during the month of March there are more proposed clam tides. The first dates are March 16, 17 and 21 which are evening digs then it switches over to morning times on March 22, 23, and 24th. There are more morning tide coming is April also! Washington State’s coast became a National Maritime Heritage Area, led by Senators Derek Kilmer (D) and Denny Heck (D) the bill is called the Kilmer-Heck Maritime Washington National Heritage Area Act and has passed the U.S. Senate and the House of Representatives and was signed by the President. It was championed by Senators Maria Cantwell (D) and Patty Murray (D). March 2-3 Ocean Shores Beachcombers Fun Fair at the Convention Center. March 16-17 Ocean Shores Razor Clam Festival & Seafood Extravaganza, sponsored by the Ocean Shores Chamber of Commerce, at the Convention Center. The events and activities are starting to pick up at the beaches this month. February offers several events during the month. Clam tides, a music festival, a chocolate festival, trail blazing with Buck, open mic night, karaoke night and of course Valentines is this month. Valentine’s Day makes it the perfect month to take your sweetheart to the beach for a romantic getaway. There are also clam tides the weekend of the February 15-21st. Can’t make it to the beach on Valentines Weekend? 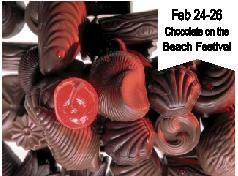 February 21-24 there is the Chocolate on the Beach Festival in Seabrook and Pacific Beach. The Beaches have also seen the rare event of snow this month. More is expected starting Friday Feb 8th and running through February 15. Visiting the beaches during this event show you how beautiful the beaches can be year round. For those who enjoy storm watching the New Year has started off with some fantastic storm watching. This is also a great time to visit the beach for a quiet getaway. On the nice nights the sunsets have been spectacular. 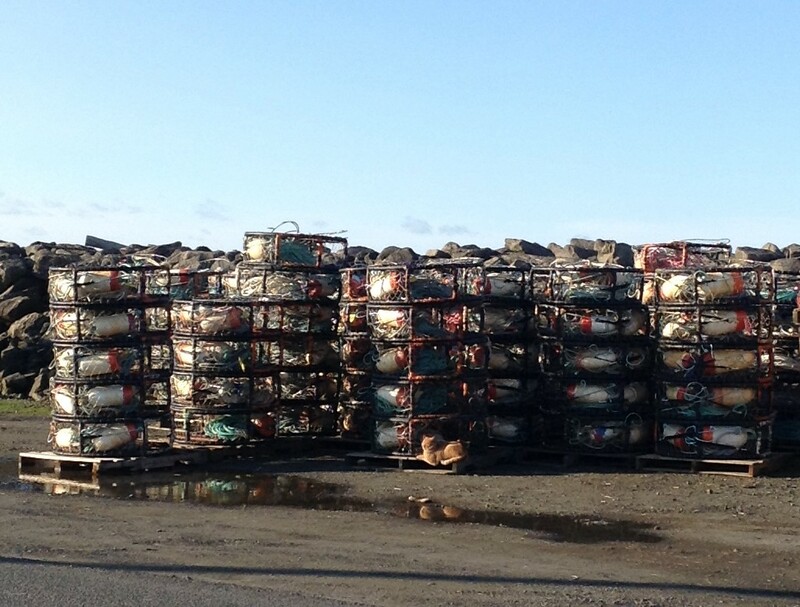 Dungeness crabbing has started in the Westport area with our fishermen bringing us the great Dungeness crab. 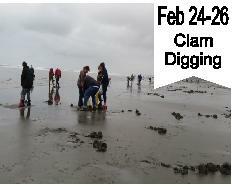 WDFW has tentative razor clam digs proposed through the end of February, with the next evening digs to begin on January 17th-21st. Grab your gear and head to the beach to dig clams, but be careful night digging in the winter can be dangerous. Never turn your back to the surf, as the waves can sneak up on you. Ocean Shores has the Urban Unglued “exotic gear vendor show” at the Ocean Shores Convention Center on January 19th -20th. Seabrook is hosting Open Mic night on January 19th at Town Hall and on January 26th there is trail blazing with Buck Giles to help blaze new bike trails. Buck will host volunteer work parties on the 3rd Saturday of every month with a goal of having new mountain bike trails and off-road running trails ready by summer. About the only thing happening on the South Beaches-Westport area is clam digging and fresh Dungeness crab at the seafood markets. The holiday season is in full swing. Christmas Bazaars, Santa, Tree lightings, and more festive activities are going on at the beach. There is also clam digging planned for the month of December and sometime usually during this month commercial Dungeness crab season begins. Both the North and South beaches have events with Santa for the kids and holiday bazaars for the adults. In Westport Santa arrived by boat at the Marina on December 2 at 10:30 am. Join the South Beach Buccaneers as they welcome Santa to the South Beach. On December 8-9 Chateau Westport is hosting a Holiday Bazaar from 10am-3pm. 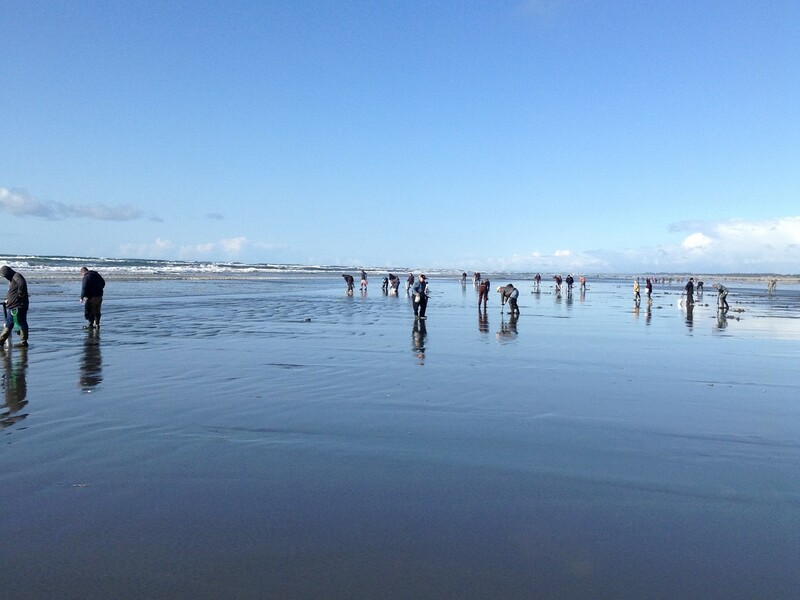 There is also tentative razor clam digs the weekend of December 6-9 and again December 20-23. These are at night so bring you lantern or other light source to see the clam holes and be extra careful of the incoming surf. The best lighting source for you is the LED lights to put on your head as this leaves both hands free and avoids the lantern being put out by incoming surf. Seabrook has lots of holiday happenings. They have an ongoing Glass Float find which started November 26 and runs through Dec 21st. They hide glass blown floats in and around the town for people to find. They are yours to keep as a gift. December 15th is the Seabrook Holiday Bazaar from 11am -4 pm with local artist and crafters selling their unique hand made goods for the holiday. On the same day is the Surfing With Santa Parade which starts at 6pm at Meriweather Square and ends at Town Hall. Come spread the holiday cheer as you watch marching bands, floats vintage cars and Santa march thought the streets. Enjoy Christmas cookies and hot chocolate after the parade at Town Hall. On December 16th is Breakfast with Santa from 9 am-11am at Town Hall. This is the jolliest breakfast on the North Beach. December 1st Oyhut Bay is having a tree lighting, music, and hot cocoa, followed by a meet and great with Santa in Santa’s Village. North Beach High School Choir will be caroling in the village square from 5-6:30 pm followed by a performance by Blues Remedy until 8:30pm. Fall is a great time to visit the beaches. Fall and winter rates are usually in effect. There are night time clam digging tides, holiday bazaars and craft fairs, And its makes for great sunsets. 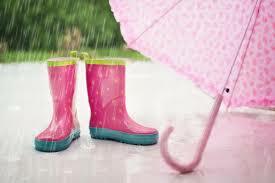 For people who enjoy stormy weather this time of year can be the start of cooler and windy weather. 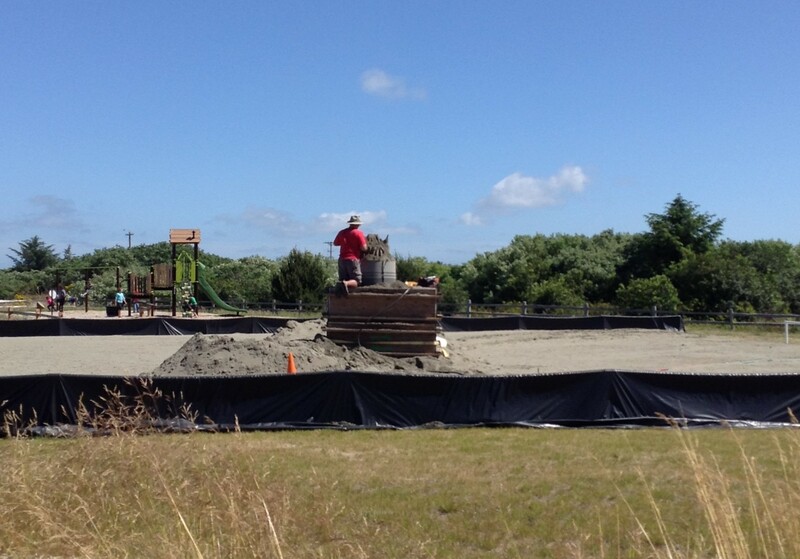 Tentative evening clam tides have been set by WDFW and the first part of the month has been approved for those digs. The following dates and time of tides are November 8-11th. The next digging opportunity will be Nov 22nd through the 25th. The first tide of this set is on Thanksgiving evening. With clam digging and holiday bazaars this makes for a great time to head to the beaches for a mini vacation. Another wonderful summer has come to an end, but there is still plenty to see and do at the beaches as fall arrives. With breath taking sunsets and fall colors, be sure to plan your next beach get-a-way soon. October 6th kicks off with the 5th Annual Big Foot Brew Fest at Seabrook. This takes place at Crescent Park for adults 21 and older. You won’t want to miss this annual tradition with craft brews, big foot, food and live music fun. This event raises money for the Seabrook Community Foundation. Tentative razor clam tentative digs on October 11-13 and again on October 25-28th pending toxin level tests taken by the WDFW. I will post the dates as soon as WDFW ok’s the digs. All digs are in the evenings. Ocean Shores host the annual Irish Music Festival event from Oct 16-21st which has 6 stages, 4 venues and 30 great bands. 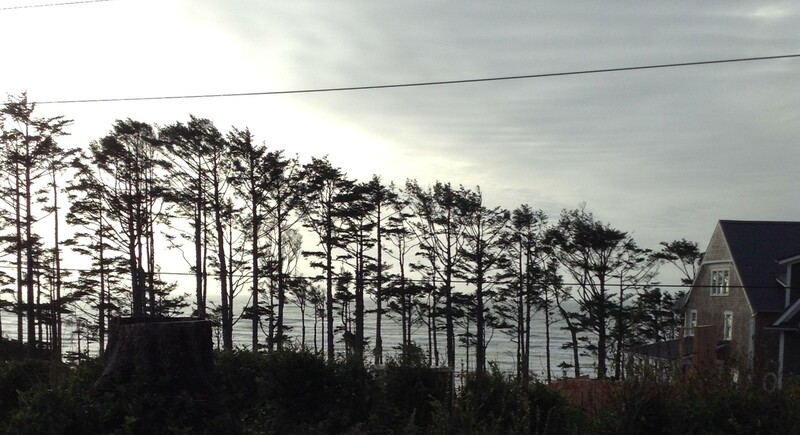 Halloween offers several activities at both Seabrook and Oyhut Bay. October 26th Seabrook has an Adult Costume Party with free admission. Oct 27th Watch as Eric Hawley carves and sculpts a giant pumpkin into a masterpiece. October 27th there is a trick or treat around town for kids starting at 4 pm. Oyhut Bay has a Bloody Time themed Halloween party for adults on Oct 27th and October 31st. From 7 to 11 pm. This is an adults’ only party with costume contest, drink specials and much more. If you are looking for a quieter get-a-way, head to Westport or Grayland area. Besides Clam digging, the other event happening the weekend of October 12-14th is the Grayland Cranberry Harvest Festival. It includes the Cranberry Harvest Cook-Off with organizers looking for folks to enter their best cranberry dishes in the Cook-Off Competition. There is also bog tours and a firelight parade on October 13th and 14th. 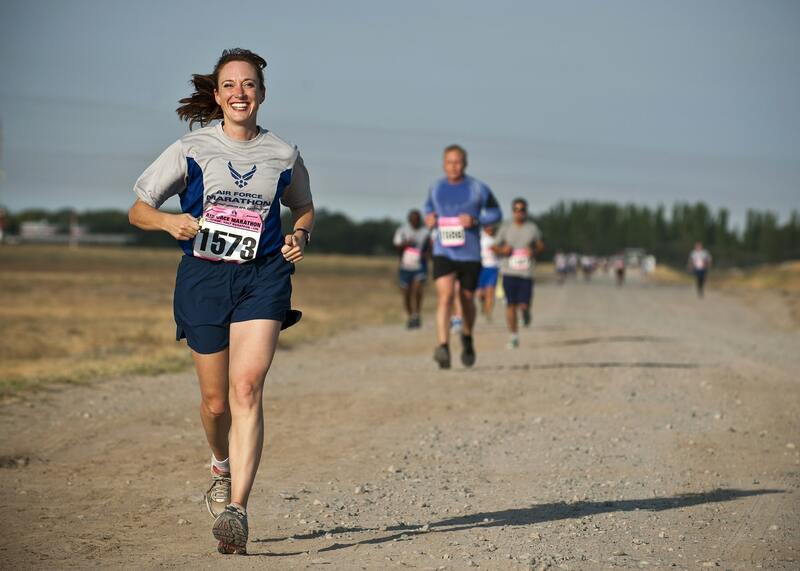 On October 14th finish the weekend out with the Grayland Jog the Bog and Beach 5K & 10K run or 3K walk which starts at 9 am. Fall is just around the corner, with a lot still going on at the beaches. The last holiday weekend is here and there are plenty of events and activities happening the first weekend in September. This is also the last week of Salmon season which ends September 3rd! So get to Westport and book your trip with one of the charter boats before it's too late! The weather is still nice, but cooler and for those trying to escape the smoke, head to the beaches and enjoy the fresh Pacific Ocean air. Fall offers great sunsets and is the perfect time for long romantic strolls on the beach. The first weekend in September offers an arts & craft show in Oceans Shores, and Oyhut Bay has the annual Paddle-a-Thon. Go visit Ocean Shores Boat House to rent your boat for this event! You won’t want to miss this event. 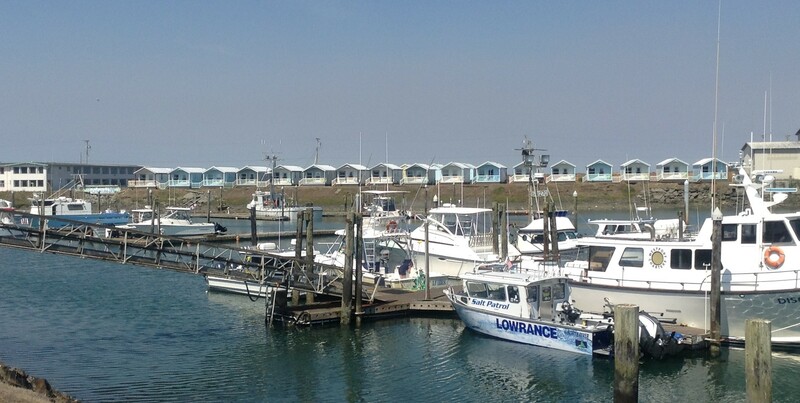 There is a lot of wildlife to see and a nice scenic adventures on the canals of Ocean Shores. Later in the month is the Whale of a Quilt show for those who enjoy quilting. 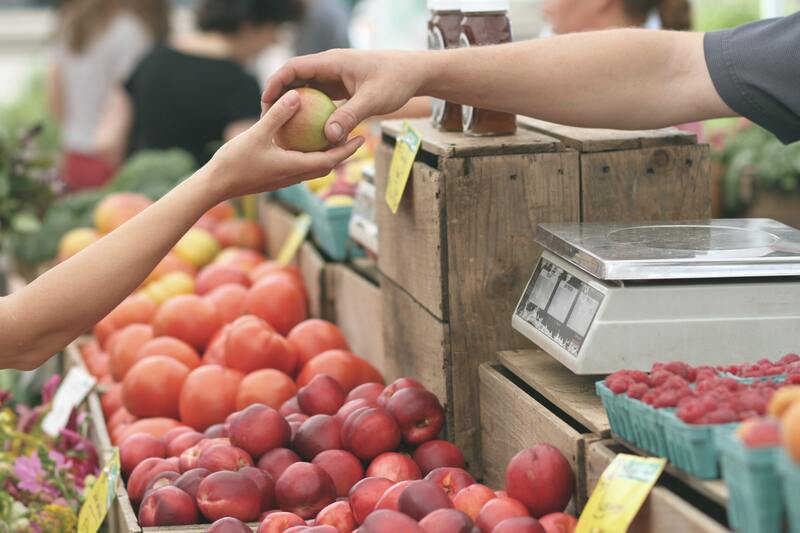 Seabrook has their last Saturday Market on September 1st from 11 am – 4 pm. They also are having a Throwback Dance party on Main Street which starts at 4 pm with a DJ until 6 pm, when a live band takes over. Enjoy music from the 70’s, 80’s and 90’s. Wear your dress gear to match the era you enjoy most. On September 21st is the annual Harvest by the Sea Benefit dinner and auction. All month long there will be concerts in the park on Saturday nights. Westport offers the 72nd Annual Seafood Festival and Craft Show along with the Corvettes at the Marina car show on September 1st. 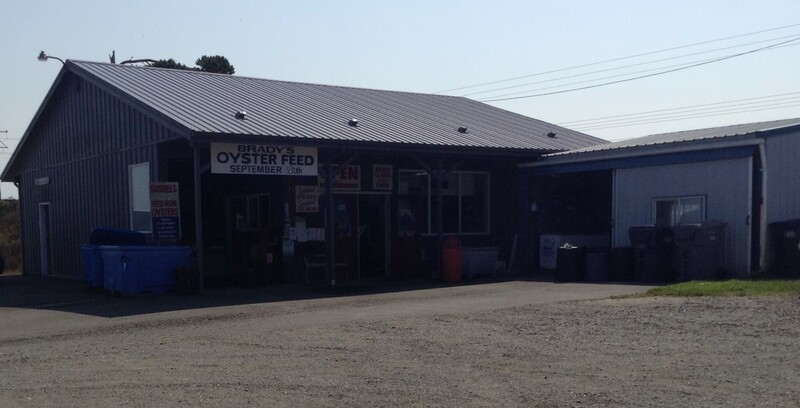 The 8th is the annual Brady’s World Famous Oyster Feed for those who enjoy oysters. From September 15th-Oct 31st Westport has the ongoing Boat Basin Salmon Derby. Also on the 15th and 16th they have the 46th annual Operation Shore Patrol clean up of the local beaches. Also on the 15th and 16th is the annual 30 Miles of Junque garage sale at the South Beaches. September 21st-22nd is the Westport Maritime Music Festival and the 21st-23rd is the Clean Water Classic Surfing Competition. At the end of the month, September 30th, Westport hosts the Reach the Beach Washington bike event, which is one of the American Lung Associations unique fundraisers. Both teams and individual participants are encouraged to enter. 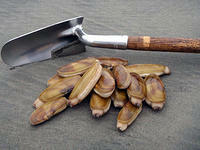 With fall approaching that also means that clam digging won’t be far behind! Check back often for the latest updates! Summer is quickly coming to an end. Kids are getting ready to head back to school and fall will soon be approaching. With many activities and events still going on there is still plenty to do at Grays Harbor Beaches. 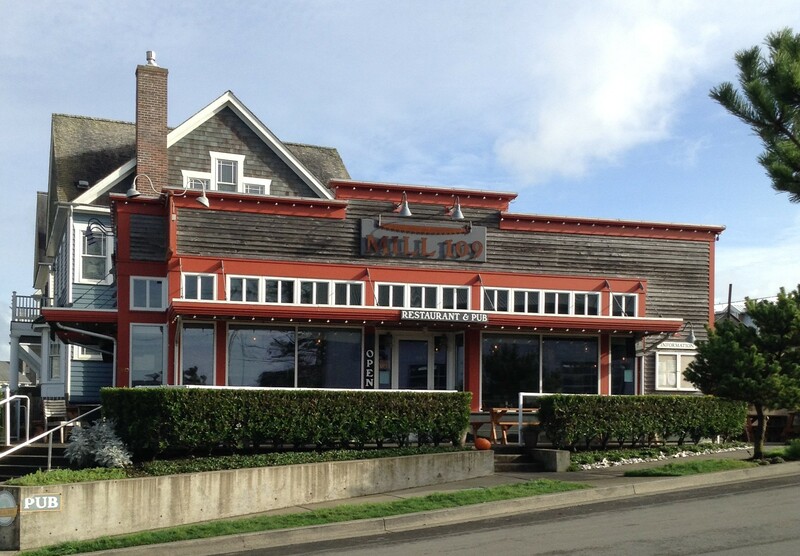 My husband and I took a mini vacation staying one night in Westport and one night at Ocean Shores. While in Westport we stayed at the Westport Marina Cottages. They were clean and nicely set up. Staff was friendly and since it was our 35th anniversary they offered us a complementary bottle of wine. As they advertise, only thing you need to bring is your clothes and food. Our cabin was cozy, quiet and relaxing. You could sit on your porch and watch the charter and commercial boats come and go. Where our cabin was we could watch the commercial boats unload tuna and other fish, then reload to return to the ocean for more fishing. Right now the tuna fishing is good. You can buy whole fresh bled fish either from the local seafood stores or right off the boats. When buying off the boats, you sometimes need to preorder your tuna. They will process the fish for you so all you have to do is take it home and can it. The charter boats came and went taking people fishing for salmon, tuna and bottom fishing. We also could sit and watch the seagulls flying and relaxing on the docks and the sea lions swimming around waiting for the commercial boats to feed them scraps. The town’s marina district was busy with visitors during the day and quiet at night. This is a great town to visit for a relaxing getaway. 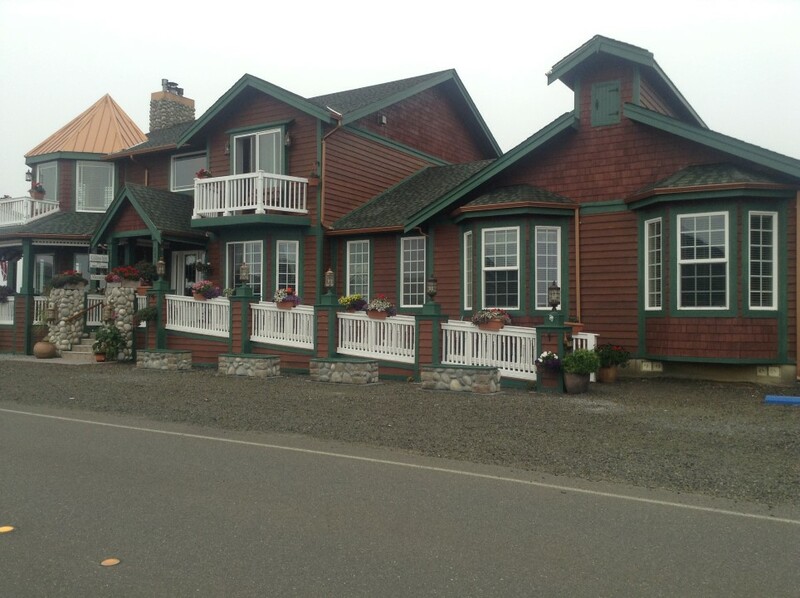 Ocean Shores is a busier town, but we stayed out of town near Oyhut Bay in the Collins Inn and Cottages. We stayed in one of the Cottages which sleeps up to six people and again is fully stocked including a washer and dryer. This place was nice as well and also was in a quiet area. There was a small walk to the beach where there was plenty of driftwood, pretty rocks and shells to pick up. 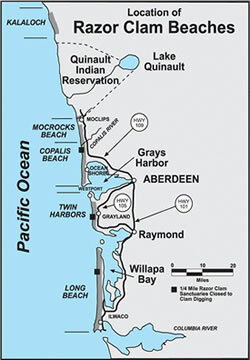 This location also offers a great area for people to go in the water as it happens to be in the mouth of Grays Harbor. People were strolling along the beach, surf fishing and just playing in the sand. 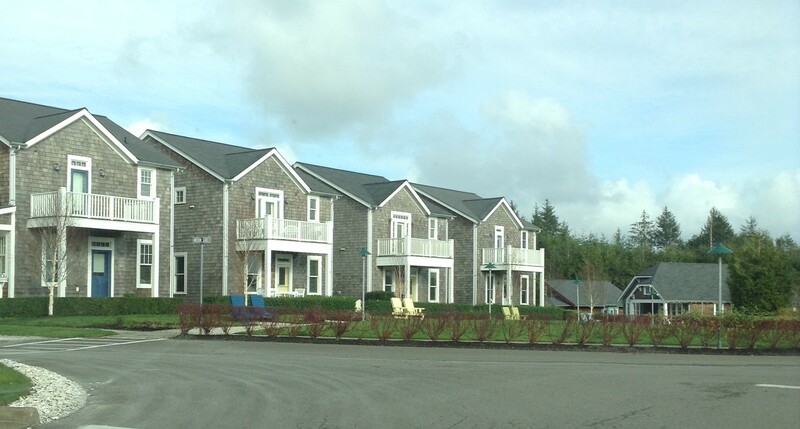 Ocean shores offer many activities to do and see along with many nice restaurants to eat at. Seabrook still has their Saturday Farmers Market going on until September, their concerts in the park on Friday nights and the first weekend in September all the beaches have some sort of events going on. Come to the beach to escape the heat and enjoy a relaxing time. July starts off with a bang! Fourth of July events are happening along the Coast of Grays Harbor. Ocean Shores, Seabrook and Westport all offer Fourth of July activities. Just make sure you know the rules of where and when you can shoot fireworks off at the beach. The rest of the month is also busy with events happening just about every weekend. Also it is the beginning of Salmon fishing on the Ocean. 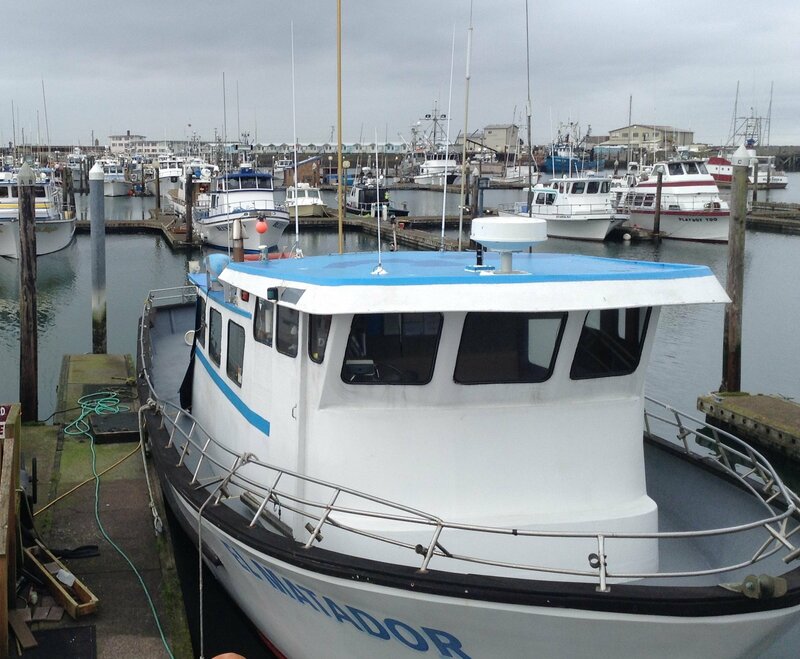 Book your trips now with one of the amazing charter boats at Westport, WA. · July 2nd and 3rd between the hours of 12 pm and 11 pm. · July 4th between the hours of 12 pm and midnight. The fireworks can only be discharged on the beaches from the Damn Road Beach approach (Best Western Motel) to Marine View Drive and cannot be discharged in town. You cannot discharge them within 100 feet of the dune grass or fire towards the dune. All fireworks must be discharged out over the ocean surf. Remember the beach is considered a state highway and any violations of fireworks, motor vehicle or other laws can result in citations ranging from $150 to over $1000.00. So stay safe and have fun. Fireworks are only allowed to be discharged on July 4th from 9 am until 11pm, and only allowed along the beach at Half Moon Bay at least 200 feet west of the beach grass line. And please pick up after yourselves to keep our beaches clean! If you prefer to just watch the fireworks there are many locations from which you can enjoy them. Quinault Beach Resort and Casino will host a fireworks display, with The Jet matching music to the fireworks display. Oyhut Bay is hosting a week-long Celebration kicking off on June 30th and going through July 7th. On the 4th there is the Ol’ Fashion Family Fourth from noon until 5pm with old fashion yard games, music, a watermelon eating contest and a classic car show. There will be a patriotic pet parade at 1pm. 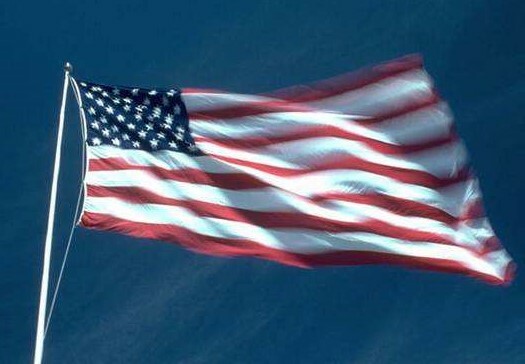 On July 3rd at 11 am by the Sunset Amphitheater Flag Pole there is a VFW flag presentation followed by a Porch Illumination Celebrations to kick off the Fourth of July, and a Red, White and Blue Bike Parade starting at Buck’s Bikes. Westport has lots of activities and family fun at the Westport South Beach Historical Society’s annual Fourth of July celebration. The Event is free and is held from 11 am until 5 pm with games, prizes, vendors, a raffle and more. Afterwards stick around for the booming bay fireworks display starting at dust at the Westport Marina. 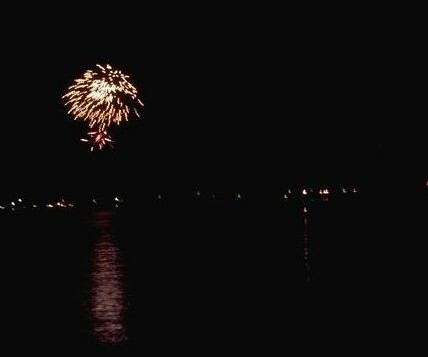 Enjoy the display of fireworks over the water! Tokeland also has a 4th of July parade on July 1st and the Tokeland Trek Family and dog friendly community hike. The end of the month Ocean Shores and this year Westport will be invaded with hundred of motorcycles for the annual Bikers on the Beach event. There will be live music, motorcycle stunt teams, biker games, vendors, beer garden, food court, a bikini bike wash, the great challenge and parade and more. All types of motorcycles are welcome!!! July 4 Ocean Shores Fireworks on the Beach. July 1 Tokeland Tokeland Trek Family and dog friendly community hike in Tokeland. July 4 Westport Maritime Museums' Ole Fashioned 4th Crafts, food & music at the Maritime Museum. July 4 Westport Marina Booming Bay Fireworks Display Show starts at dusk. July 21 Westport Eastside Street Rods Show & Shine Scenic poker run, parade, and Show & Shine. Tokeland Wood & Arts Fest Chainsaw carving, wood artists, demonstrations, food vendors & live music. July 29 Westport Marina Bikers at the Beach-Coming to Westport this summer. June is the beginning of all the fun summer activities at Grays Harbor Beaches. From kite flying, parades, festivals, fishing and parties. This month also kicks off summer vacations. 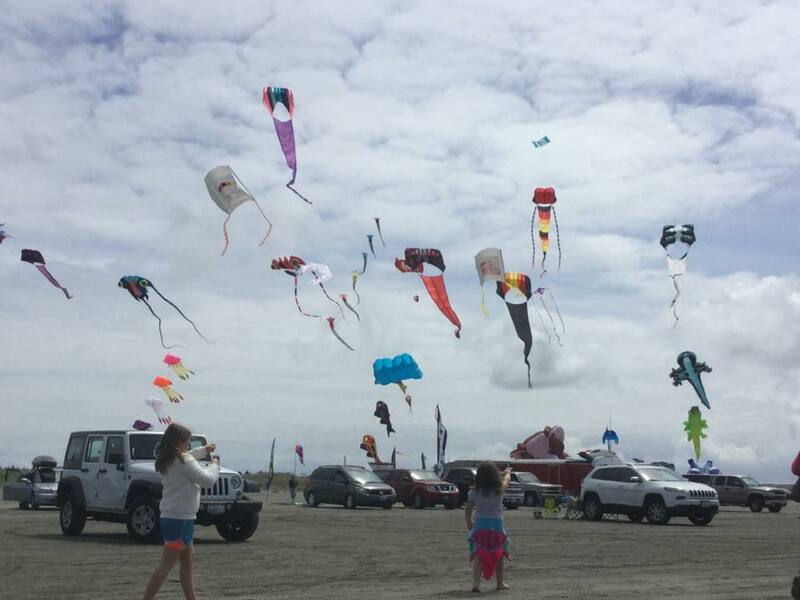 June 2-3 Ocean Shores Festival of Colors (Kite Flying) A great family event for novice to professional kite flyers. Come fly your kite or enjoy the antics of colorful kites filling the sky. Held on the beach off of Damon Road. Visit Ocean Shores Kites or call 360-289-4103 for more information. June 22-24 5 Star Dealerships Sand & Sawdust Festival. There are sand sculpting competitions for beginners to masters. This is held on the beach. Want to participate? Contact the Oceans Shores Chamber for information you need to participate in this event. The event is open to team and individual artists. Watch chainsaw carving artists create masterpieces at the Convention Center. You can view their work from start to finish over the three days of competition. Each day there will be quick carve pieces that are auctioned off in the show room. 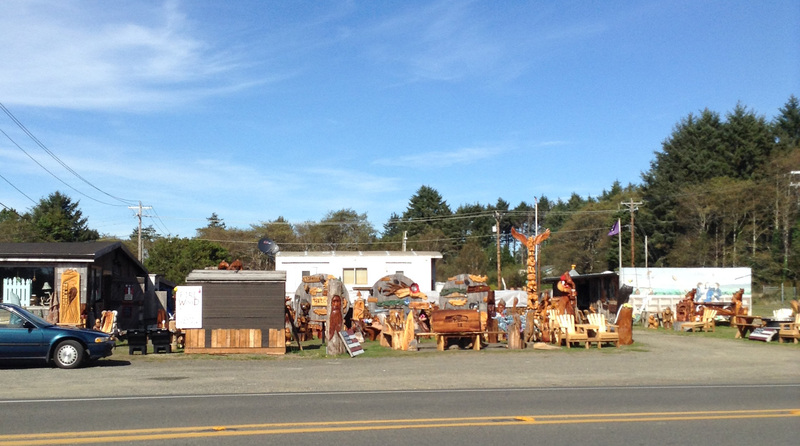 Visit Ocean Shores Sand-Sawdust for more information. June 9th Doggie Days 10am-12pm A canine-themed event for both dogs and dog lovers. More on Doggie Days. 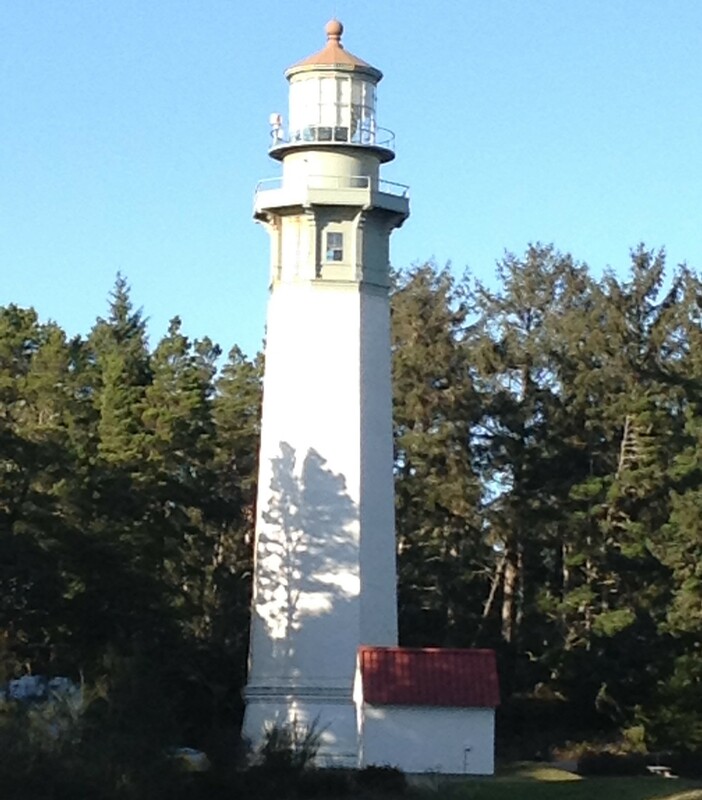 June 30 Grays Harbor Light Lighthouse 119th Birthday Celebration all day at the lighthouse in Westport, WA from 6-10 pm with lighting the light house up, and cake and entertainment to enjoy. Come help celebrate the 119th birthday of the lighting of the lighthouse on Saturday June 30. There will be cake and entertainment and they will light up the lighthouse in the evening. Construction started in 1897 and was completed in June of 1898. 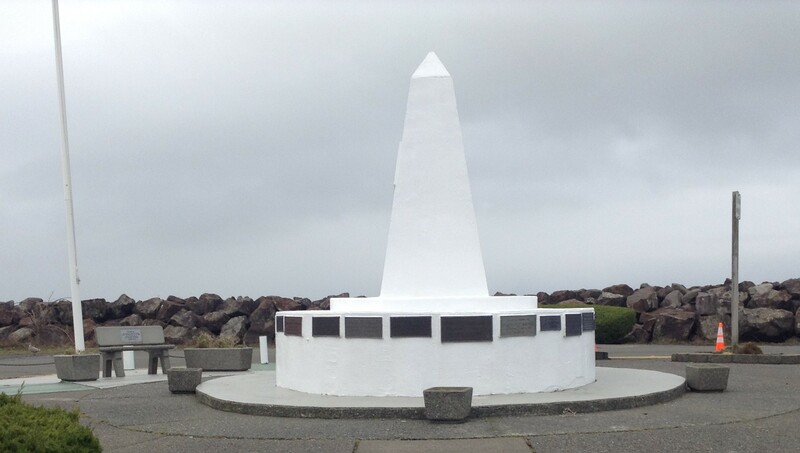 On June 30th 1898 a dedication ceremony was held at the base of the lighthouse and that night marked the first official service date of Grays Harbor Lighthouse. Due to the construction of a jetty system in the early 1900’s, the lighthouse now sits approximately 3,000 feet from the high tide mark, originally it was located about 400 feet from the waters’ edge. Grays Harbor Light Lighthouse stands 107 feet tall-making it the tallest lighthouse in Washington State and the 3rd tallest on the West Coast. Visitors can climb the 135 steps up to the lantern room. Once on top you can enjoy a 360 degree view of the ocean and its surrounding area. On a clear day you may get lucky enough to see the top of Mount Rainier to the east. Fun Facts of Grays Harbor Light Lighthouse. · The walls at the base of the octagonal structure are 4 feet thick tapering up to an 18 inch width. 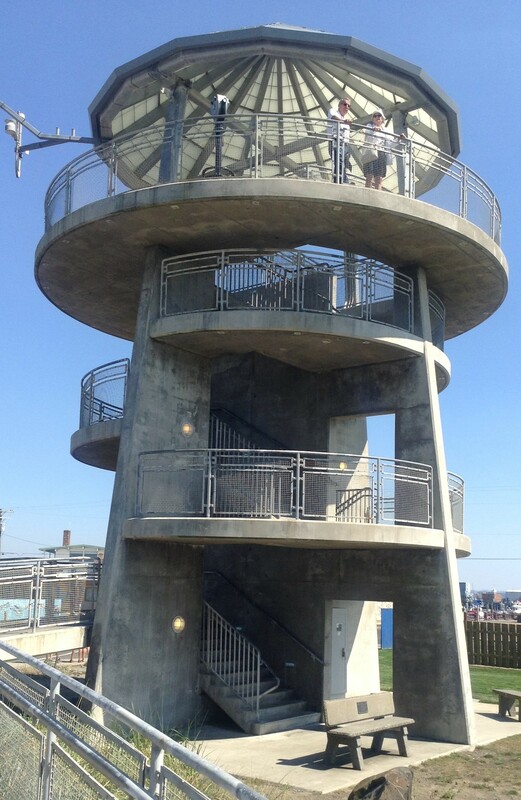 · A metal structure completes the top of the tower. Enjoy your kick-off to summer! As summer nears, more and more activities and events are happening at Grays Harbor Beaches. Halibut season opens in Westport, bottom fishing is still very good and the boats seem to be limiting out. 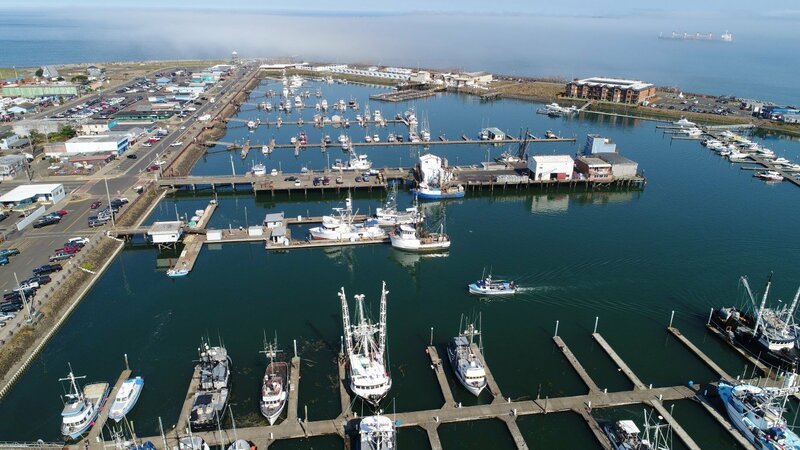 Seabrook has a parade, and the Spring Showcase of Homes tours, Ocean Shores hosts a Youth Fishing Derby, the Clam Diggers Rod Run, and the 11th Annual Grays Harbor County Expo. There’s something for all ages. Now is the perfect time for hiking and biking around the beaches and camping is also starting to ramp up. Don’t like camping? There are several other options, motels/hotels, cabin, house, condo rentals, and B&B’s. Make your reservations now for all the family fun. 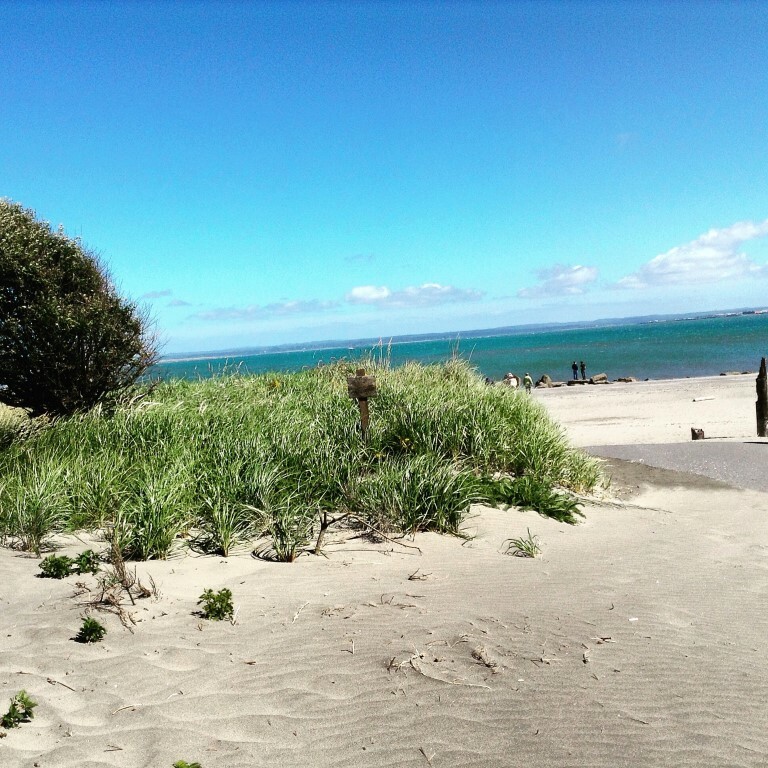 Start thinking ahead towards your summer vacations and plan a visit to Grays Harbor Beaches! May 11, May 13, May 25, and May 27, halibut season opens, with more dates in June (June 7, 9, 16, 21, 23, 28, 30) or until quotas are filled. May 25-27 Commercial Fishing Festival Come spend your Memorial Day Weekend in Westport to support the Commercial Fishing Fleet which included informational displays, vendors, beer garden, food, arts & crafts for the kids and then in the evening live music, and the Lighting up of the Docks in honor of loved ones at 7pm. May 27th Blessing of the Fleet an annual event remembering those lost at sea and bless the fleet for a safe and bountiful harvest. May 28th Memorial Day the VFW Memorial Ceremony takes place at the Veterans Memorial Park. Spring has arrived and the warm weather is coming soon. Bottom fishing is hot, whale watching is good, there are tentative razor clam tides for four straight days and the monthly events and activities are picking up at our local beaches. The start of this spring season has been windy and stormy; making for a great time for beach combing. April 1st a man from Chinook found a bundle of large size Japanese glass fishing floats. These glass floats have most likely been floating for a long time as these glass floats have been replaced with plastic ones in recent decades. Bottom fishing has been very strong off the Washington Coast, as the charter boats from Westport have been catching their daily limits and have even seen Orca Whales passing by while heading out to fish. For those who love fishing, mark your calendars for Halibut season. 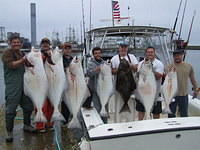 The dates for Halibut fishing are May 11, 13, 25, and 27th. More dates may be added depending on quota available. 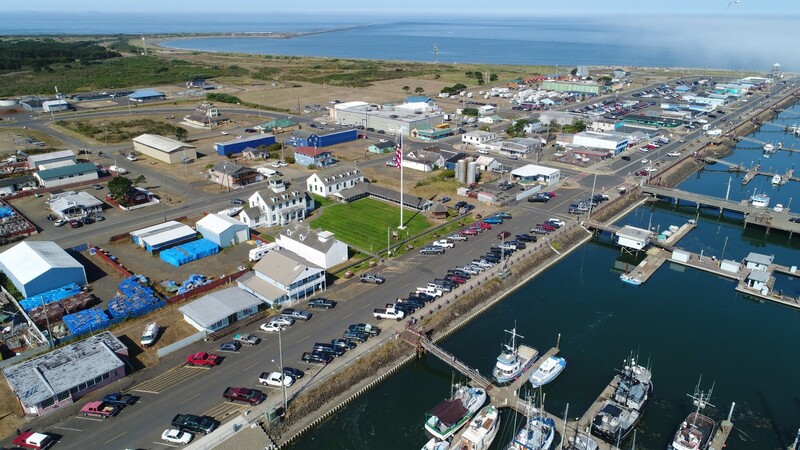 Beginning April 17th the Port of Grays Harbor will be accepting reservations for monthly moorage rates at the Westport Marina. For availability call 360-268-9665 or visit www.portofgraysharbor.com. 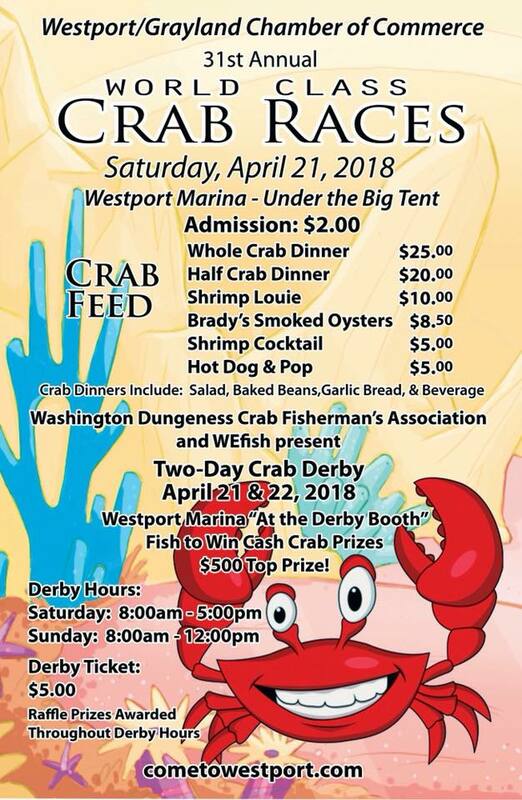 Westport also hosts the annual world class crab races and crab feed on Saturday April 21st. 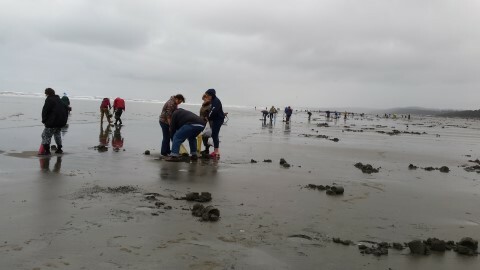 This year they also are going to have a razor clam derby, as there are also clam tides April 21 and 22nd at Twin Harbors. 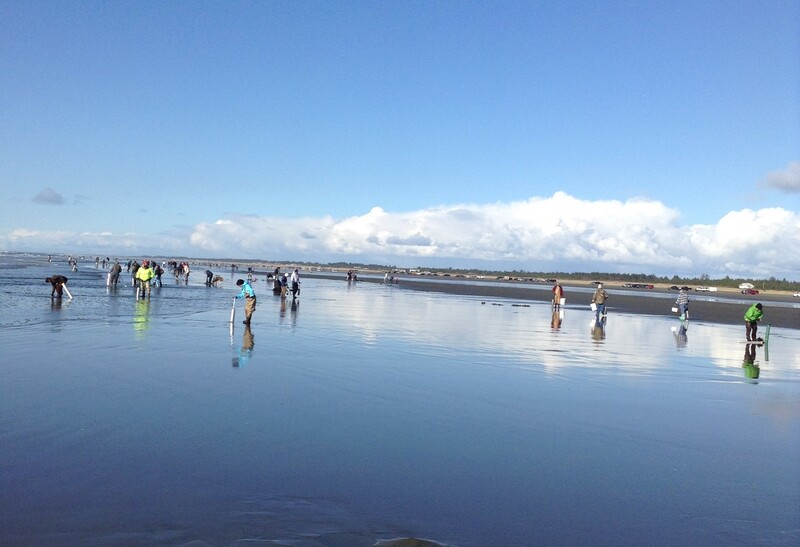 Make a full day of Saturday with both razor clam digging and the annual crab races. Because of the time of the tides, digging hours will be extended beyond 12 pm. On Saturday the tide is at 11:34 am and you can dig until 1 pm. On Sunday the tide is at 12:38 pm and digging hours will be extended until 2 pm. On April 28th the local spring beach cleanup is scheduled with the crew from Olympic Coast Cleanup taking on the South Beaches. 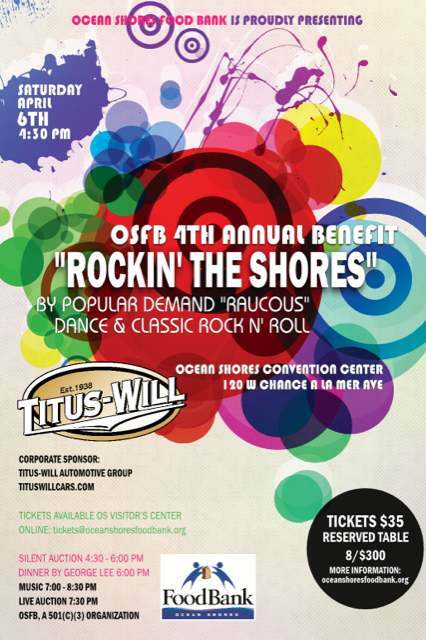 Oceans Shores has a Fine Arts, Photography and Electronic Media Show April 27-29, and the High Rollin’ Hot Rods car show will be at the beach at the Quinault Beach Resort and Casino. 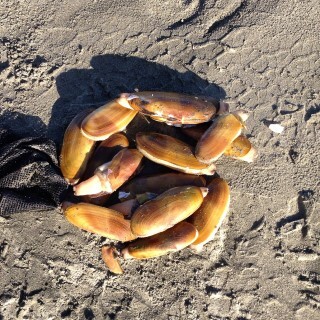 There are tentative razor clam tides on April 19-22nd. See tide times below. Seabrook has a Mountain Bike ride with Buck on April 14th, and Spring Break week from now until the 15th, with different family activities planned throughout the week. Spring is just around the corner, and activities are ramping up at Grays Harbor Beaches. 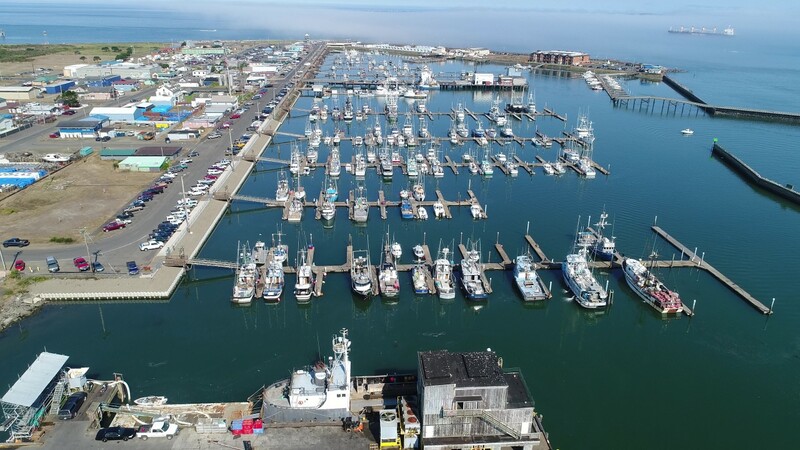 The kick off of deep sea bottom fishing opens, more razor clams tides are proposed, and several events are happening at several towns along the coast. March 2-3 UFO Paranormal Summit- Located at Quinault Beach Resort & Casino. An annual event featuring the world’s most renowned researchers and includes presentations on UFO Theories, evidence and information. March 3-4 30th Annual Beachcombers Fun Fair- Located at the Ocean Shores Convention Center This annual event features exhibits, seminars, information booths and vendors. March 16-17 Razor Clam Festival & Seafood Extravaganza-Ocean Shores Convention Center-The razor clam festival has become one of the most popular events for razor clam lovers. This event features the famous Clam chowder cook-off, for both amateurs and professionals. Application (www.oceanshores.org/clams). March 25 Dugan’s Run this event has run for over 30 years and promotes youth, family participation, and community involvement. There’s a run for all ages. The 5K & 10K feature a course with a beach route. 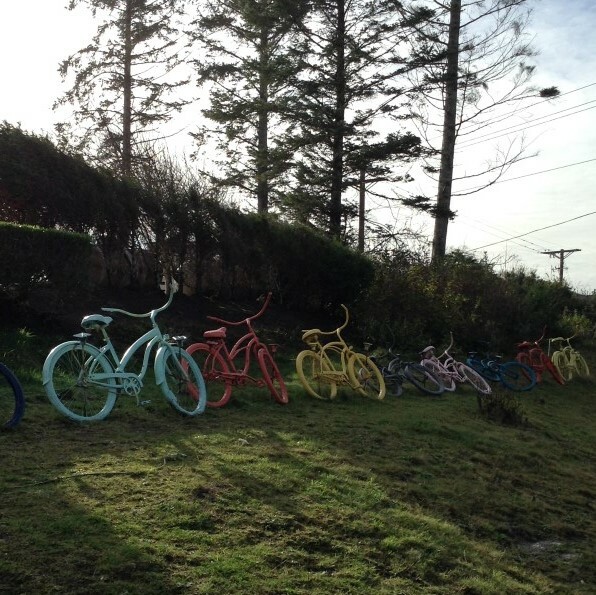 March 17 Fat Tire Bike Race-Join Seabrook for their first ever Fat Tire Bike Race through their scenic beach town. March 17-18 NCM 2nd annual Art Show-Town Hall North Coast Montessori is hosting the Art Show to raise funds for the North Coast Montessori Scholarship Fund. 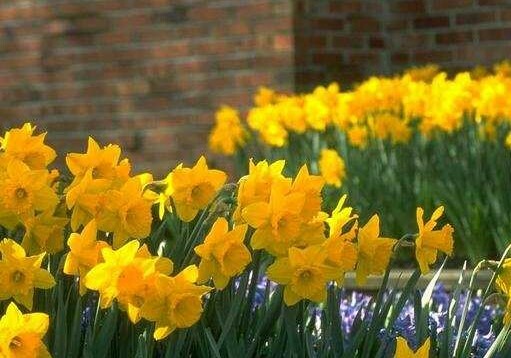 March 23-25 Daffodil Days Spring Kick Off Celebration. Come help celebrate Seabrook’s spring season kick–off at the Daffodil Days Festival. Event scheduled throughout the day. Mountain Bike Ride, Spring Saturday Market, YOW Parade and Contest. 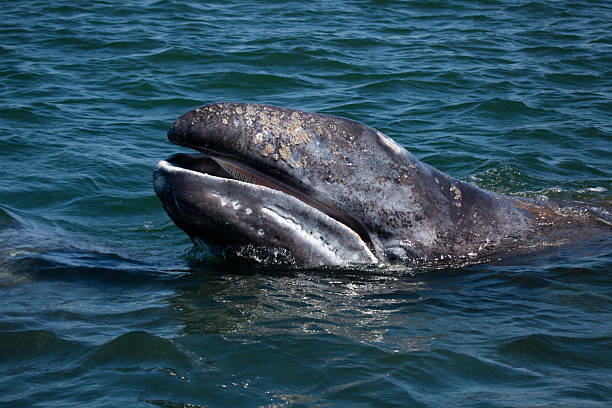 March 1-May 30 Gray Whale Watching- book a trip with one of the charter boats to get your closest look at the gray whales. March 10 Deep Sea Charter Boat Bottom Fishing opens. Book your trips now with your favorite charter boats. March 25-Oct 15 Westport Charter Boat Association Fishing Derby begins. Compete daily and weekly for cash prizes. The March 16 and 17 are the same days as the Razor Clam Festival. Come for the day to the Festival and bring your clam gear and dig razor clams in the evenings. There will also be more tides coming in April with the digs in the mornings. Winter storms, romantic weekends, amazing sunsets, a chocolate festival, Dungeness crab and razor clam digging, makes February a great time to visit the beaches. The winter months are a quiet time to visit Grays Harbor Beaches, with winter rates available at most accommodations, and several great places to eat. Winter storms offer many opportunities for those who enjoy storm watching and beach combing. This combined with a long weekend and Valentine’s Day in the middle of the month can make for a great, romantic, beach combing and storm watching time. Just remember to dress accordingly, with warm clothes and rain coats. Depending on the weather, there can also be great sunsets in amongst the clouds for you and a loved one to enjoy. The quietest beach is the Westport area, where there is great storm watching from their viewing tower. 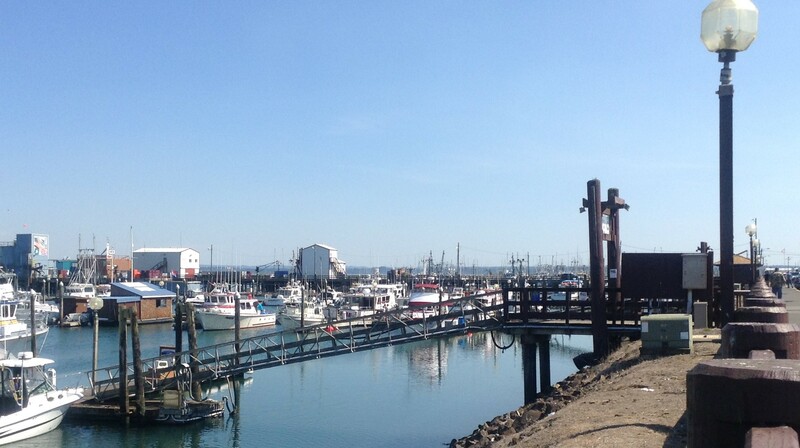 The commercial Dungeness crab season had gotten under way, so if you’re looking for the quietest area and love crab and other seafood, Westport would be the area to visit. There should fresh crab available at the Seafood Markets in Westport where you can purchase live crab or cooked crab. Just remember, this can be weather dependent so if you are looking for fresh live crab check before you go. Ocean Shores, Seabrook and the Pacific Beach area offer the most events and activities for the month of February. Seabrook is hosting a Super Bowl party on February 4th starting at 2:30 at Town Hall. Watch the Super Bowl on their big screen TV. All ages are welcome. There will be a cash bar for drinks and Dante’s Inferno Hot Dogs will be there for food. 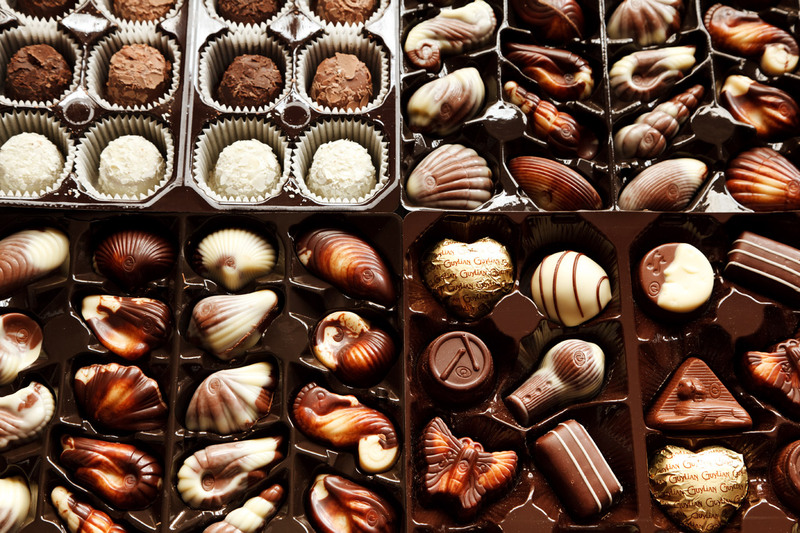 For the chocolate lovers there’s a Chocolate Festival February 22-25th, which is held in the Pacific Beach area. This is the 11th annual Chocolate on the Beach Festival for this coastal community. It was started as a small fundraiser for The Museum of the North Beach and has become their own entity that has grown into a huge 4 day event which includes the sister communities of Moclips, Aloha, Copalis Crossing, Seabrook and Copalis Beach. This Festival supports organizations and groups in the North Beach area with grants and donations for historical, educational and community projects. This is a fun family festival offering something for all chocolate lovers. There are chocolate vendors, artists, and crafters. You can attend a cooking class or enter your favorite recipe in the recipe contest. Attendees will find chocolate that is gluten free, dairy free, vegan, organic, fair trade, raw and event healthy treats for your pets. There is a $5.00 fee for adults which is good for both Saturday and Sunday, $1.00 for teens and children are free. This buys you a bracelet good in the Vendor Building (Pacific Beach Elementary) and the Demonstrations at the North Beach Community Center. 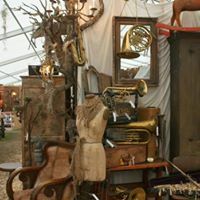 For the Antique lovers February 17-18 there is a Renewed Antique and Collectibles show. Over 60 vendors will be there offering a wide variety of antiques, vintage items, doll repair, evaluations and a fur fashion show on Saturday. There is a $3.00 admission fee or $2.00 with a non perishable food donation. 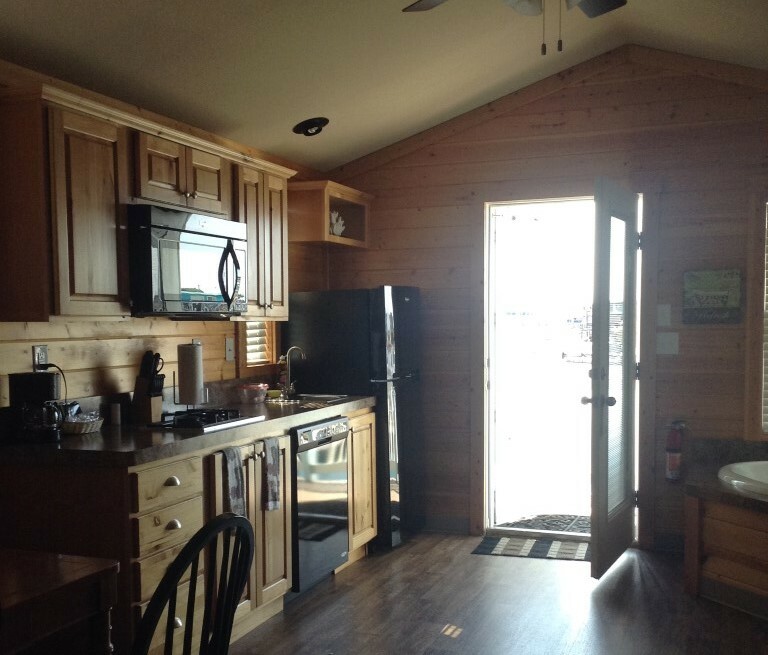 The new community of Oyhut Bay invites you to come for a tour of their affordable beach getaway. Their walkable and bikeable village community has parks, trails and miles of ocean beaches for you to enjoy. They are now selling new beach cottages and also have nightly vacation cottages and condo rentals available. 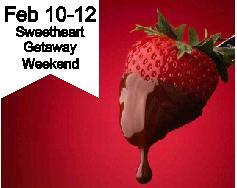 This would be a great opportunity for a romantic Valentine’s Day weekend with a loved one. Oyhut Bay, south of downtown Ocean Shores, has a new Fresh Market that has just opened and I’m sure they would be happy to see some new faces. They also have the Riptide Coffee Company, the Oyhut Bay Bistro, and the Loft and Martini Bar for other places to eat and drink. 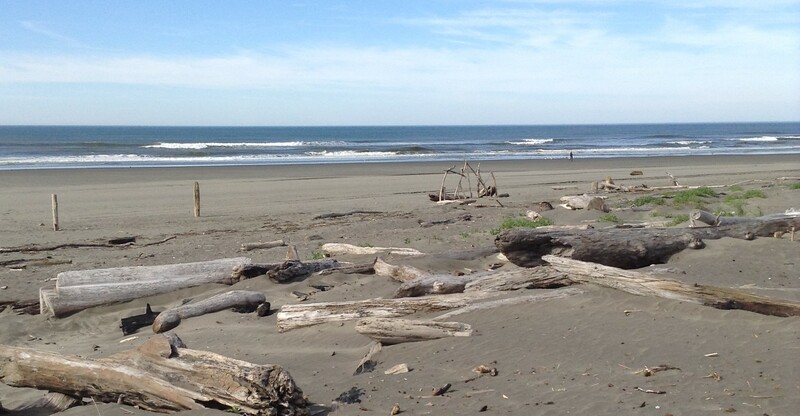 Enjoy the quiet beaches of Grays Harbor during the month of February! Happy New Year! 2017 went out with clam tides and a beautiful sunset. 2018 is making a grand entrance with beautiful sunsets, cold temperatures, and great clam tides. January at the beaches offers many opportunities for storm watching, beachcombing, razor clam tides, beautiful sunsets, annual events, fewer crowds, no traffic and winter rates to name a few. Although January is the off season at Grays Harbor Beaches, it is a great opportunity to spend time with a special person and enjoy quiet romantic strolls on the beach. Enjoy Clam digging? Come stay at the end of the month and make it a week long adventure, you can dig 7 days in a row; the last four days of January and the first 3 days of February. Enjoy the winter time at Grays Harbor Beaches! Fall has arrived and with it comes cooler weather; it means it’s time for razor clam season to start. It also means the final weeks of deep sea bottom and tuna fishing. While summer may have past and fall is here, doesn’t mean it time to quit going to the beach, there’s still plenty of activities and things to see and do. WDFW has tentatively set dates from October through December pending safe toxin level testing. The first two days to dig are Oct 6th and 7th. All tides are in the evening and on October 6 and 7 all beaches are planned to be open. With evening digs, comes more dangers as most tides are after dark, seeing the surf coming in is harder, lights of some sorts are needed to see the holes and it is usually colder when digging. Remember to dress warmer and in layers so you can remove extra clothing rather than get cold. Please make sure to check back with WDFW for the latest releases and information regarding upcoming digs. Check out our favorite clam recipes or add your favorites on our site. Charter boats are still booking trips for bottom fish and tuna until Oct 15th. Check here for booking services. Get your last trip in before the season ends! Oct 25-29 14th Annual Irish Music Festival presenting the largest l Irish Music Festival on the West Coast. October 14 Tour of Homes-Visit Seabrook on Saturday for a tour of vacation rentals and homes for sale, as they open several homes for viewing by the public. October 21 2nd Annual Great Pumpkin Carving Competition-An all day event where you can watch professionals carve and compete for prizes. Judge people’s choice awards. Join in the family carving competition. 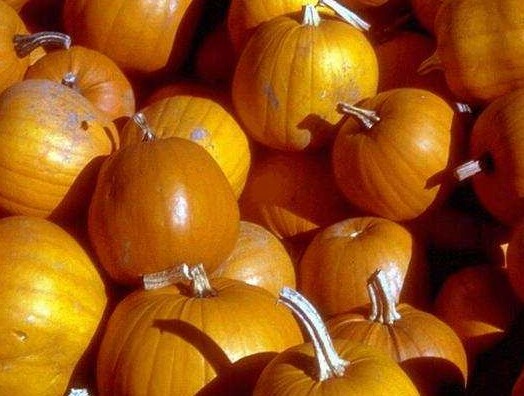 Little kids can paint pumpkins- A fun event for the entire family. Oct 27 Adult Costume Party-Adults only costume party at Town Hall. 8 pm – 12 am with DJ, drinks, dancing, costume contest, party and games. Admission is free. September 15- Oct 31 A dock fishing derby in Westport which started September 15 and runs until the end of October. October 14-15 Cranberry Harvest Festival with bog tours, a cranberry cook-off and a firelight parade. 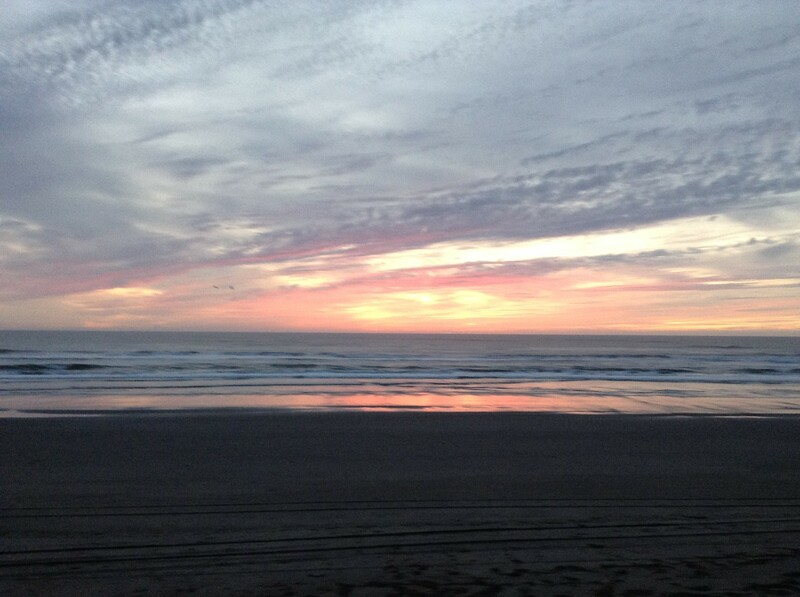 Valentine’s Day is just around the corner; how about spending it with your sweetheart at Grays Harbor Beaches. Oceans Shores has an Antique & Collectibles show the weekend of February 10-12. Westport is quiet this time of year except for the occasional surfer. 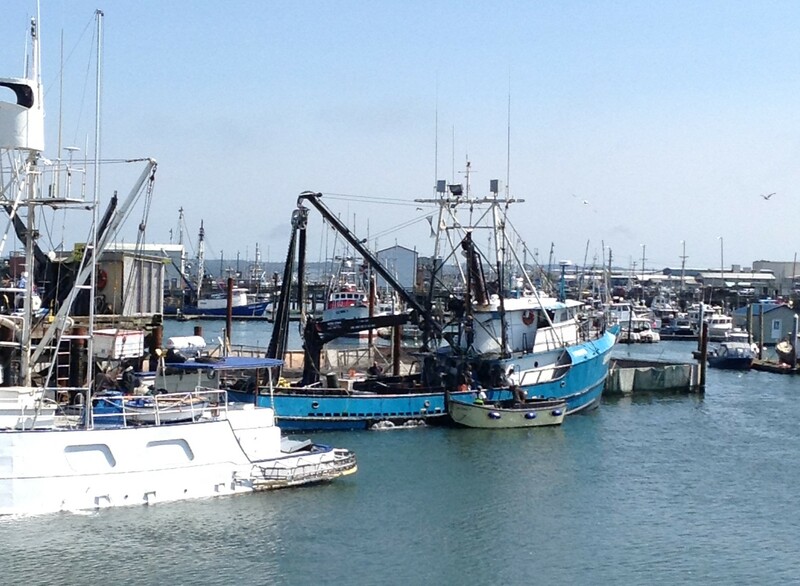 You can watch commercial boats come and go from the harbor as dungeness crab season is in full swing. 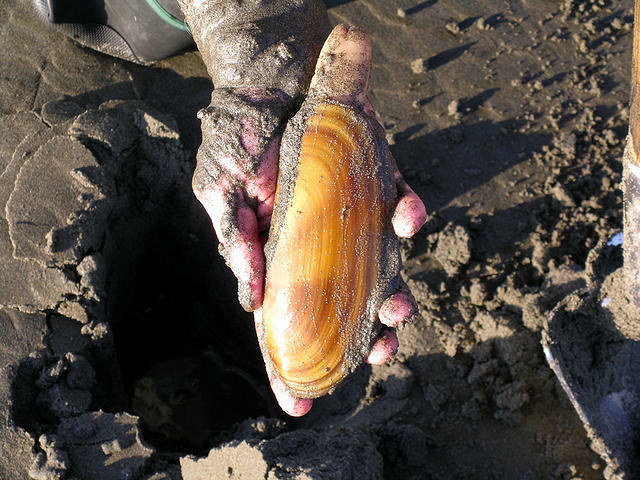 WDFW has approved the first clam dig of the season for Twin Harbors since the fall of 2016 which should provide an abundance of nice clams. Timing is perfect for those who like to clam dig. 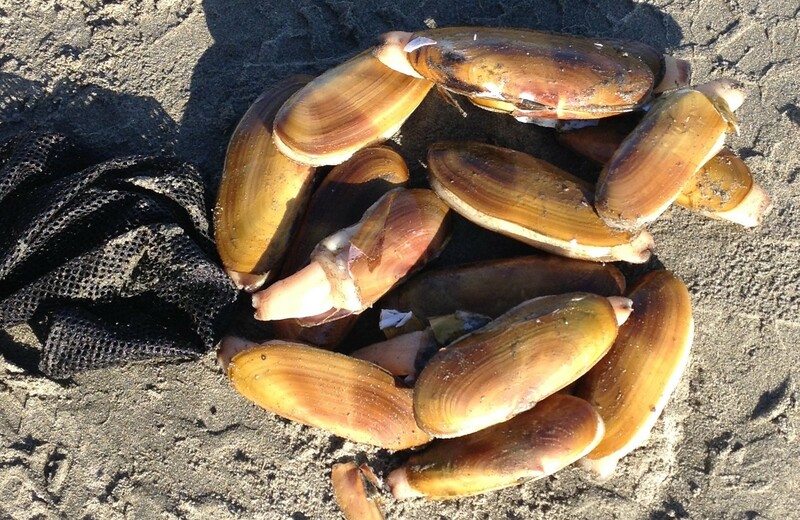 Razor clam tides have been approved for 3 beaches from February 7-12th. Have the winter time blues? 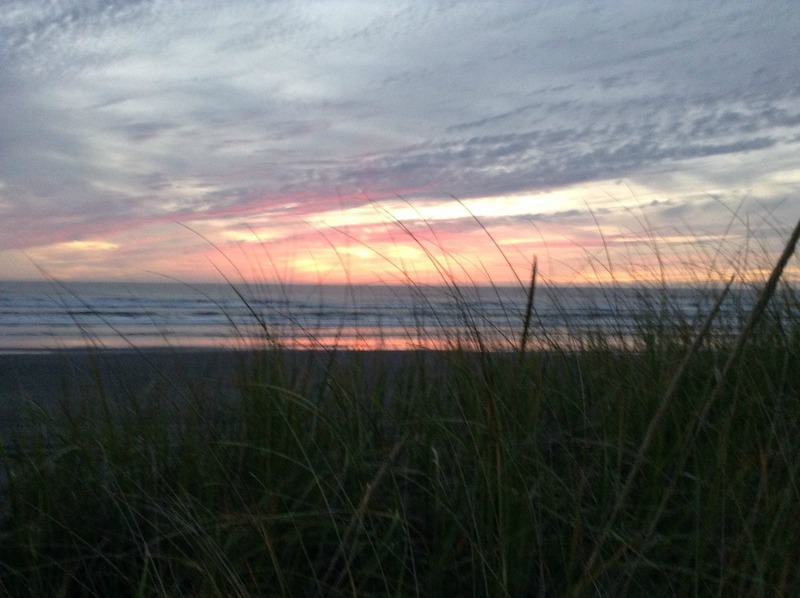 Take a trip to one of Grays Harbor's beaches and enjoy a romantic get-a-way. Plan a Valentine’s Day weekend with your special someone. Winter is a great time for storm watching beach combing or walking on the beach. This is a great time to plan get-a-way, as most accommodations have off season rates. 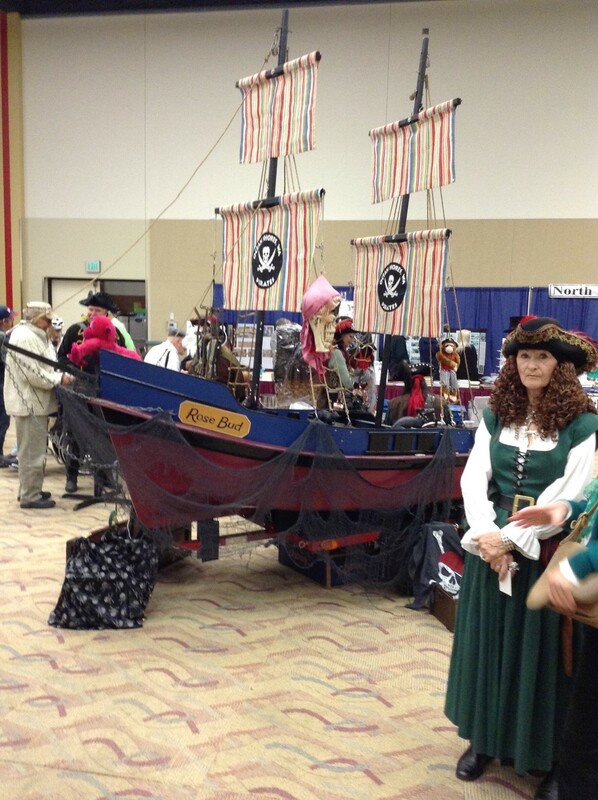 A Pirates Life for Us-Ocean Shores January 13-15th. MLK weekend: Swashbucklers, buccaneers and scalawags invade the City to indulge in entertainment and general merriment. Folks with pirate spirits are welcome to come and play. Check out their website at www.pirateslifeforus.com for more information. During this 4th Annual Show, over 60 vendors will offer a wide variety of antiques. Admission is $3, OR $2 + non-perishable food item donation. Visit www.tourismoceanshores.com for more information. 6 pm Town Hall Mr. Bills Travelling Trivia comes back to Seabrook for an evening of fun, laughs, food and desert while fund raising for the Juvenile Diabetes Research Foundation. During this annual event, chocolate takes over the entire North Beach. Guests at Seabrook will get a chocolate basket upon arrival, and all of the town merchants will have chocolate specials and themed activities. Storming watching is the highlight at Westport and the South beaches. Here is where you can get a quiet stay to unwind after the busy holidays and enjoy personal or family time. 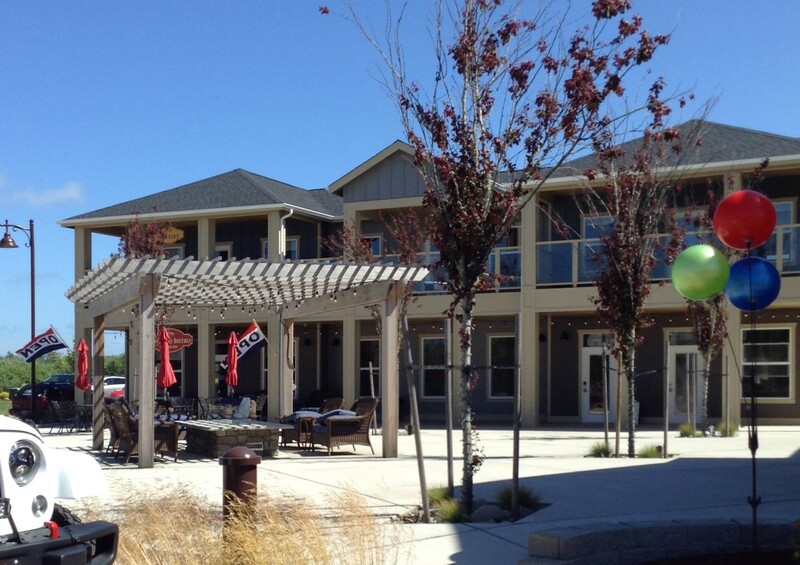 If heading to Westport, WA stop by the Westport Winery on the way down, grab a meal, enjoy some wine tasting and purchase your favorite bottle of wine to enjoy while visiting Grays Harbor Beaches. Then on the way home stop by the docks or Brady’s Oysters to purchase some fresh seafood to prepare and enjoy when you get home. 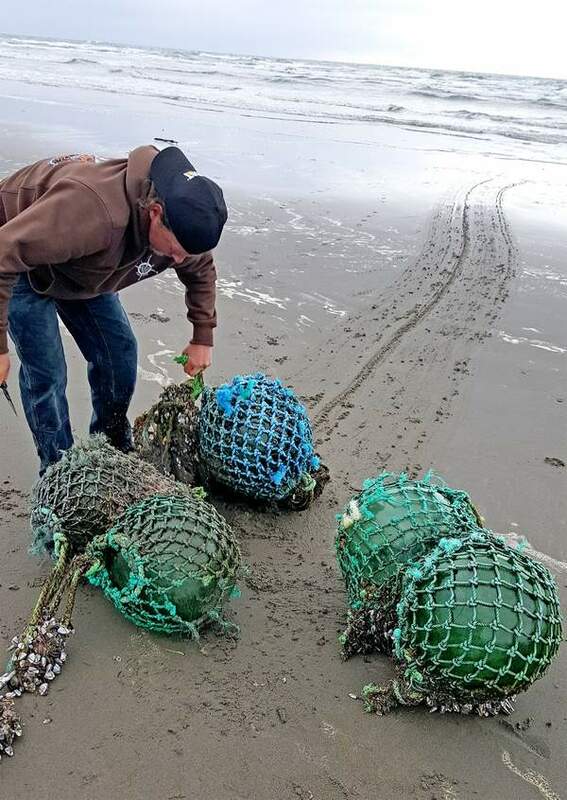 Washington Department of Fish and Wildlife has scheduled tentative clam dig openings depending on the toxin levels outcomes for the month of January and February. Storm Season is here. 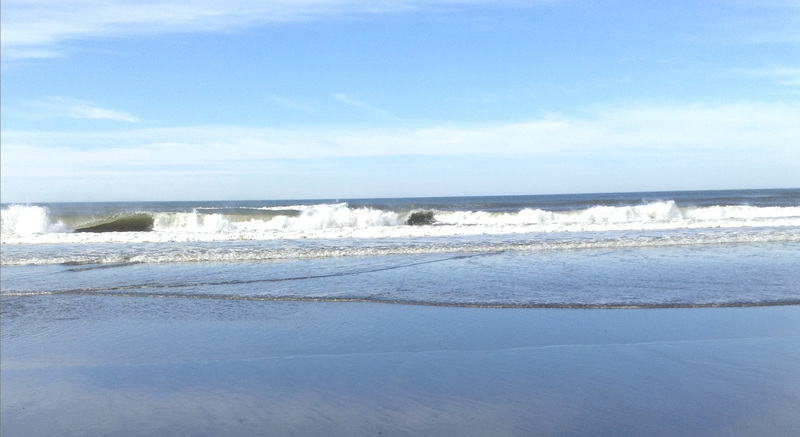 Grays Harbor Beaches are an incredible draw with its mild weather all year long. During the months of July and December, the highest tides occur. The change in height can be as much as 12 feet. With high wind and roar of the surf, the power and beauty of the ocean can be breathtaking. 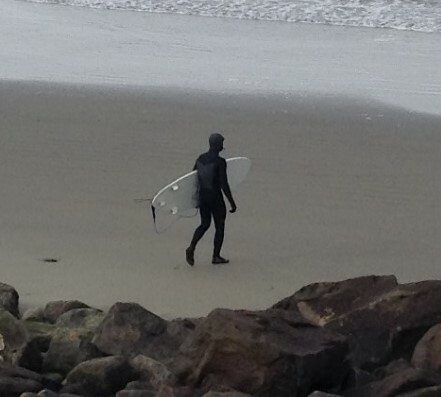 Winter is a quiet time to visit Grays Harbor Beaches. Winter storms, clam digging, storm watching and beach combing are some of the activities. Visiting during the winter months can also make a weekend getaway or vacation more reasonably priced. Usually during this time of year there are seasonal rates on lodging. Seabrook offers many vacation rentals and cottages which are great for business conferences, reunions, weddings, family vacations or a weekend getaway. You could book a reservation at one of their many cottages or vacation rental homes-some of which are situated on a bluff overlooking the Pacific Ocean. What a great way to storm watch or join in the activities the town has to offer. 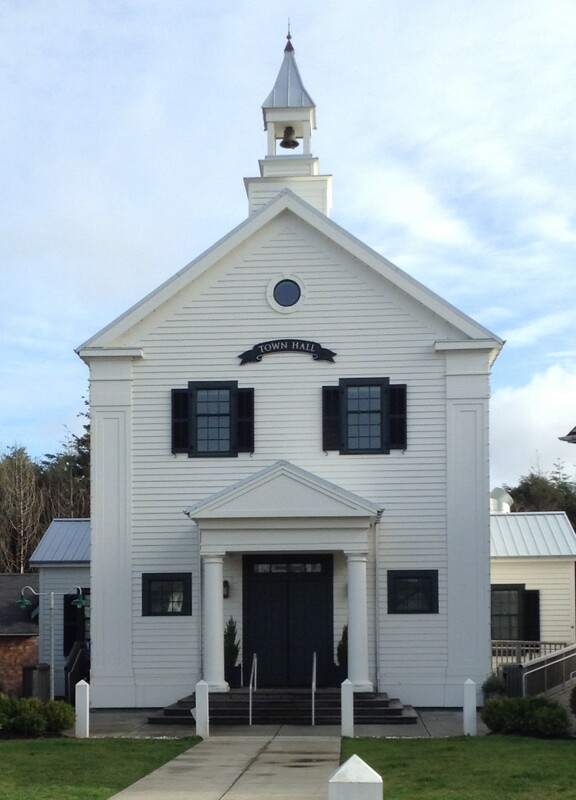 The town of Seabrook still has many events and activities scheduled around the holidays. There is a Glass Float Find which is held between November 28Th and December 22nd. During this time, Seabrook hides glass floats in and around town as well as on the beach for you to find. The glass floats that you find are yours to keep as a gift to you! There are restaurants and small specialty shops for you to enjoy while there. The town is called the “Idea Town” by Sunset Magazine. 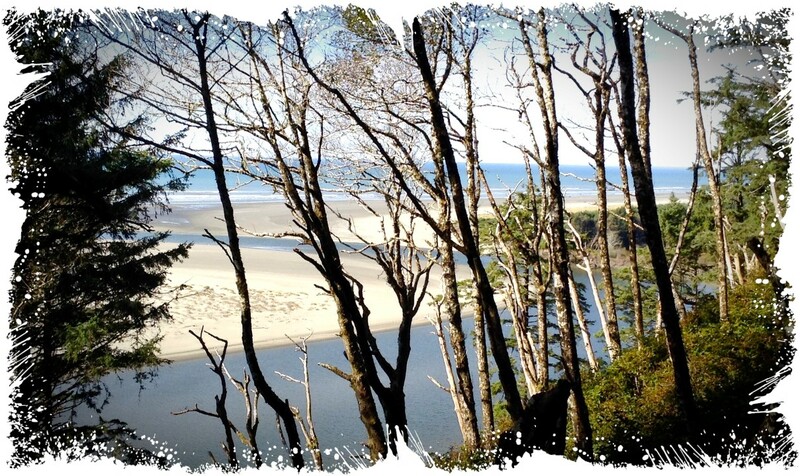 Just a few miles away are other towns and beaches such as Moclips, Pacific Beach, Ocean City and Ocean Shores, or if you prefer hiking there are several hiking opportunities nearby as well. Have you tried Clam digging? 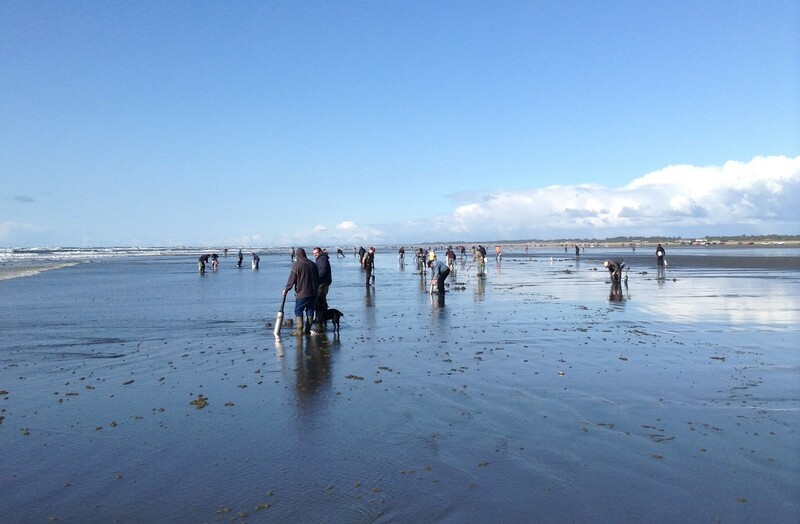 During these winter months, Razor Clam Digging is a favorite of the locals. 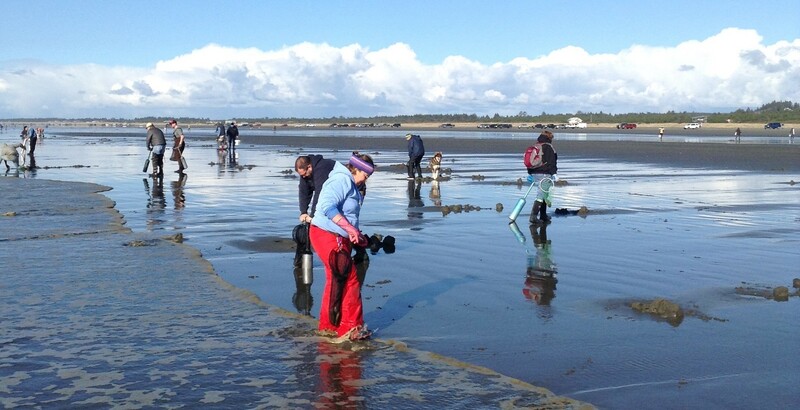 There are certain days, times and tide which you can try your hand at clam digging, but make sure you check out WDFW for all rules and regulations. Razor Clam digging at Grays Harbor Beaches during the winter months is done at night. You will be able to see hundreds of lights on the beach as the clam diggers use either a flashlights or lanterns to see the holes and watch the surf. What a sight. Brings you up to date information about what's happening at Grays Harbor Beaches. News flashes about clam digging, fishing, and current activities and events that are happening around the area. The digs are during the evening tides so be prepared with a light of some sort to see the holes. Take extra caution when digging at night as the waves can sneak up on you quick. Always dress warm as the nights are cool. For those who like to shop for christmas decor, there are christmas bazaar at both the North and South beaches. Check our calendar for the dates and locations. 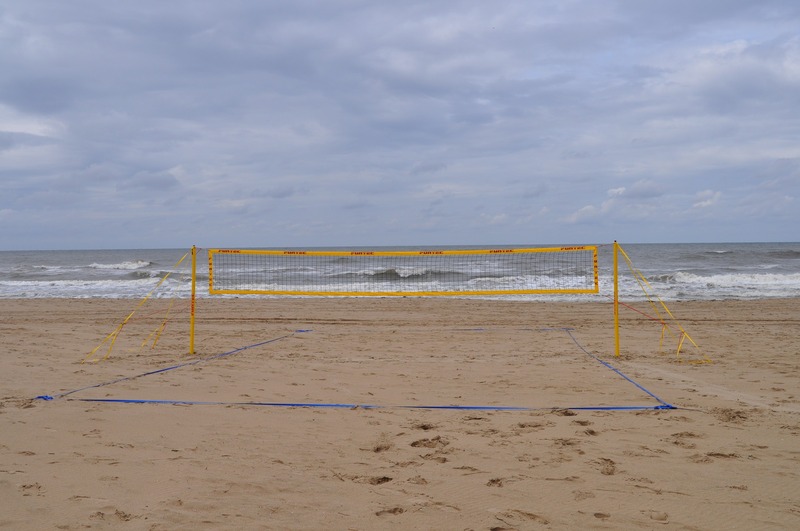 With summer just around the corner, beach activities are picking up. 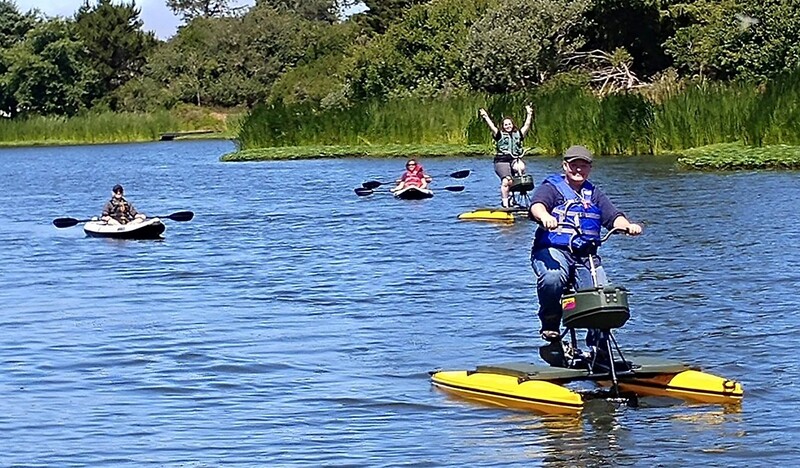 Whether you are planning a day at the beach,fishing for salmon and bottom fish or attending an up and coming event or activity,there's several opportunities for family fun. Salmon fishing has become a hot topic, with a weak coho return due to warmer than normal water temps in the north Pacific Ocean, there was talk of no fishing at all but WDFW has set a limited season for Salmon. Recreational Ocean salmon fishing for Chinook will open beginning July 1st in all 4 marine areas. The daily limit and species of salmon will be dependant on which marine area you are fishing. Some have limited coho catches while other may require you to release all coho. Be sure to check with WDFW regarding their 2016 rules and regulations and what the limits are per salmon species. For anglers who enjoy all kinds of fishing and want to get out on the ocean, there are also trips for Halibut, ling cod other types of bottom fish (beginning May 1st in certain Marine areas) and later Tuna fishing. Some charters offer salmon fishing the morning and bottom fishing in the afternoons. Book your trips early with one of the Westport charter boats. Daily trips are available, but if you like salmon plan on booking your trips early as the season could be cut short once quotas are met. 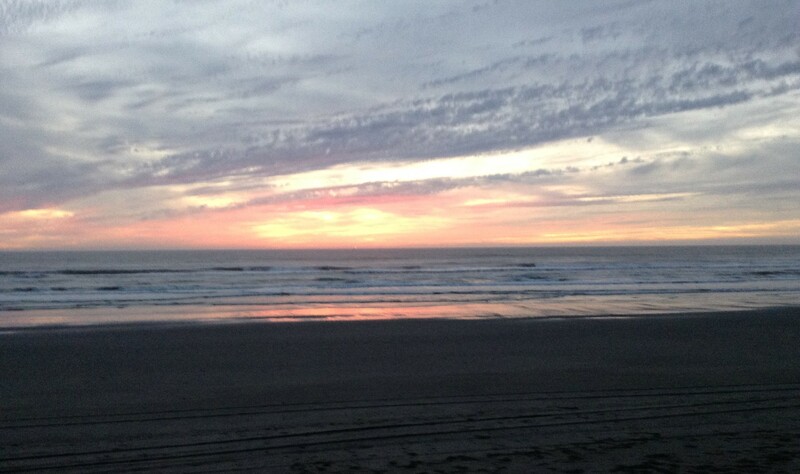 Visit our site at www.graysharborbeaches.com for all beach activities and up to date news in Grays Harbor Washington. Continue reading "Lost Kitty is Home!" 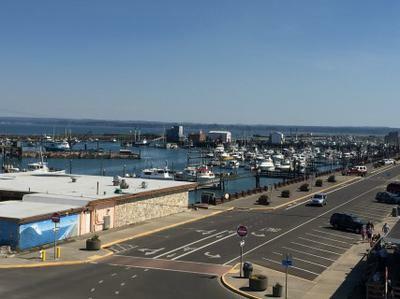 Continue reading "I Will Pay $10 For Your Broken Wahing Machine or Clothes Dryer"
Continue reading "North Beach Annual Events"
Continue reading "Beautiful day at Westport "